In Japan, all public transportation is as punctual as a clock. Trains always run on time and the rail network is large - so large that you can even reach some of the secret places of the countryside. There is great advantage in that, as you can easily take a break from the busy city and breathe in the fresh air of the nature surrounding you. 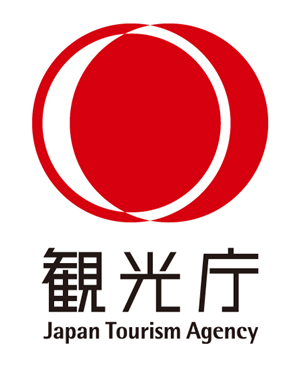 From Shinjuku station in Tokyo, take the Chuo Line to Ōme station, then take the Ōme line to Mitake station. As you’re leaving Tokyo by the train, you will have the impression that the cityscape will never end, not until you suddenly find yourself surrounded by mountains and beautiful rivers that follow the railroad. In front of the station, on your left, there is a little wood cabin serving as the tourist office where you can ask for a map of the region and some advice (English speaker is assigned). From here on, you might want to hop on the bus that will take you directly to a hiking route entrance, but you can walk from Mt. 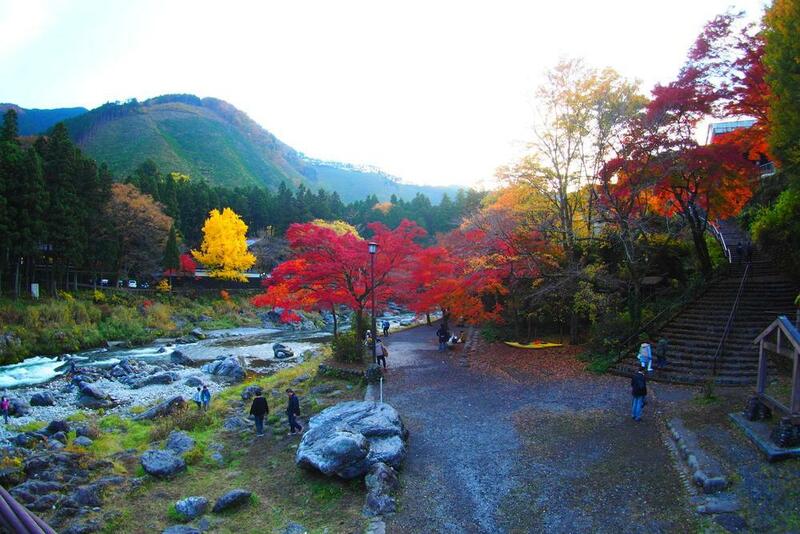 Mitake where beautiful scenery spread out along with the Tama river. In the region, we recommend you to try adventures through rafting and canoeing which run normally from April to November every year. If you aim at the top of Mt. Mitake, you have two options. The the former is to take the cable car, the latter is, of course, for anyone that likes hiking: climbing by foot! It is comfortable to climb through tall, thin pine trees even though it is a little bit tough ans takes about 2 hours. Mt. 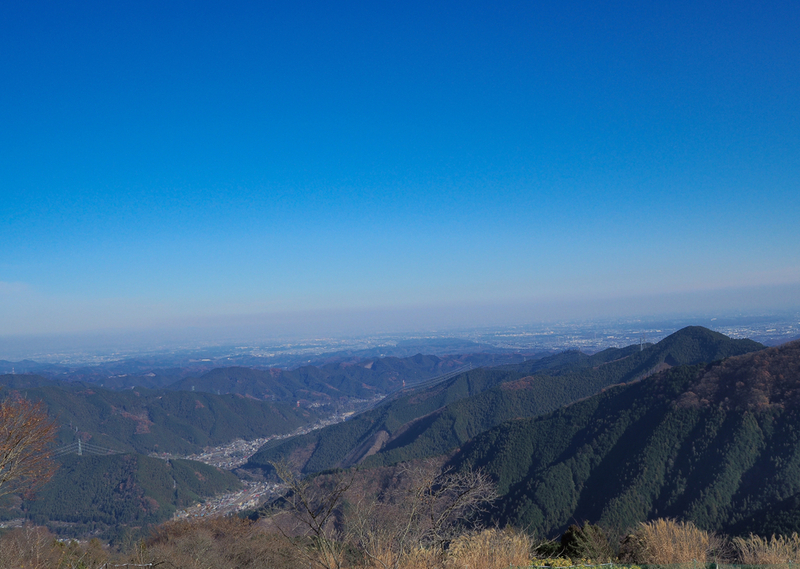 Mitake is 929m at its highest point and its peak provides a wonderful view. The top of the mountain is occupied by many food stores and each of them gives you a chance to taste the local food. 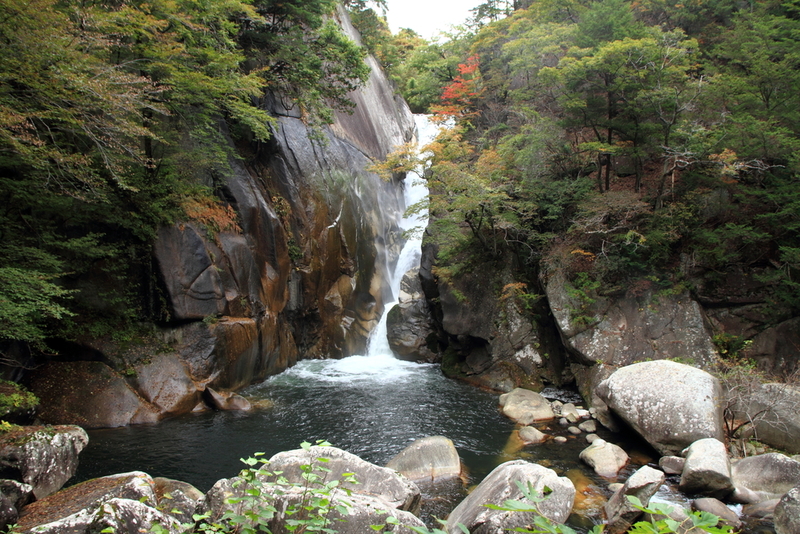 Moving on, you could continue the hike to the Nanayono falls and admire many little wooden Shinto temples along the way, hidden off in the nature. From Mitake station, you can reach the Okutama station in 20 minutes. 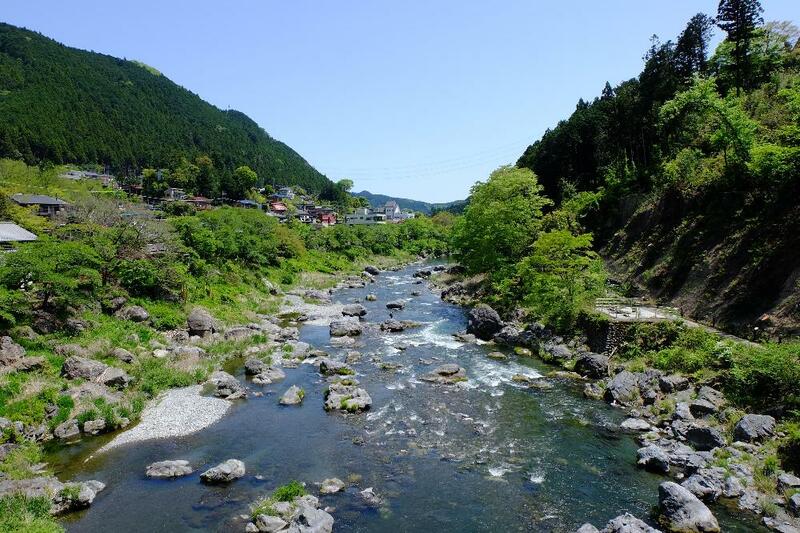 From the moment you’ve arrived, you will be able to admire the Hikawa gorge while walking along on the narrow “Mukashi-Michi” (ancient road) along the river. There are a lot of beautiful wooden hanging bridges along the way that will certainly help you feel like you’ve stepped in a different world. 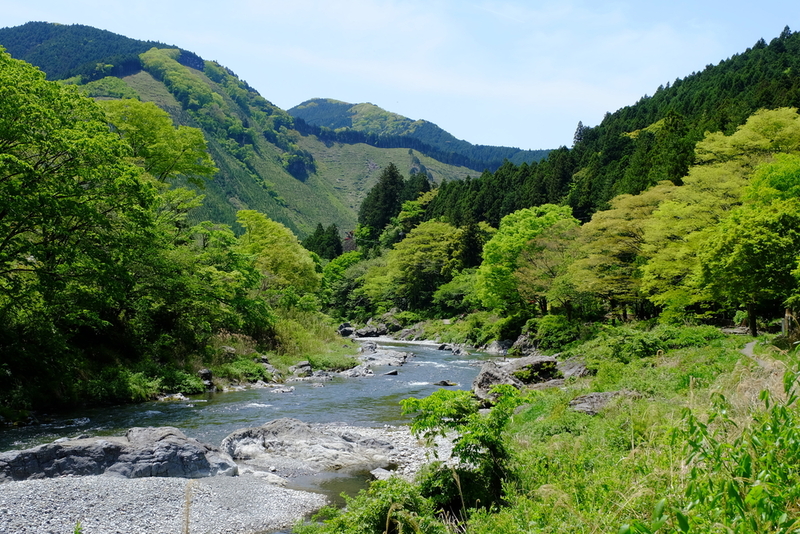 If you would like to enjoy the walk a little bit longer, you can start the hike from Hatonosu station and follow the river to Okutama. It is possible to reach it in about hour and a half. Okutama has a lot of fishing centers that offer the possibility of grilling your best catches and enjoying your BBQ in a peaceful environment. Durant les belles saisons, vous pourrez passez la nuit dans un des nombreux campings alentours en forêt ou en bord de rivière mais il existe aussi de très bons ryokans dont certains équipés de onsens (bains de source d’eau chaude volcanique). A environ 30 minutes de bus de la station de Okutama, vous pourrez atteindre la région de Nippara et visiter les grottes calcaires proches d’une superbe cascade. Vous pourrez admirer dans la même région le rocher "Inamura", une formation rocheuse assez impressionnante. 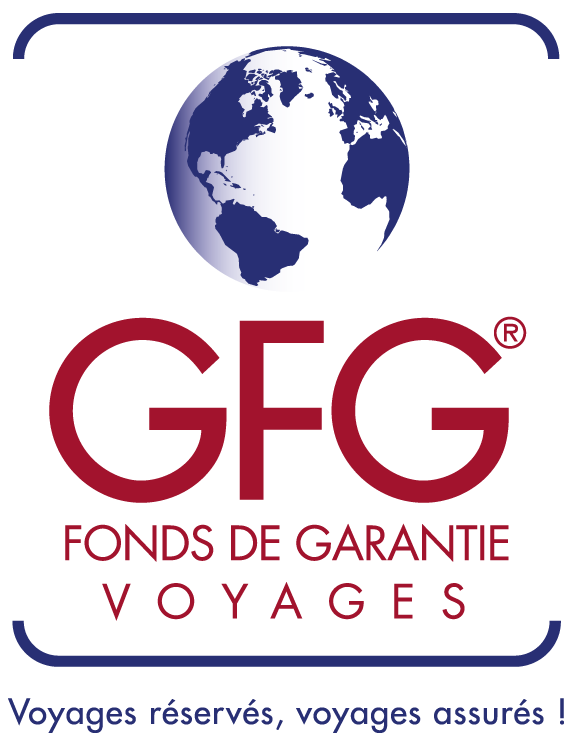 Plusieurs chemins de randonnée d’un niveau assez difficile sont possibles aux alentours alors préparez vous bien ! Au sud, le lac Okutama qui alimente une partie de l’eau potable de Tokyo propose de belles balades comme au départ du village “Furasuto” où l’on peut aussi contempler de très beaux sanctuaires shintos. Spring and summer are the perfect seasons to enjoy a camping trip near the river or in the forest. Instead of a tent, you can opt to sleep a night in one of the beautiful ryokans (traditional japanese hotel), some of which are equipped with hot springs. Boarding the bus from the Okutama station, you can reach the Nippara area in about 30 minutes and witness its beautiful limestone caves along with an impressive waterfall. 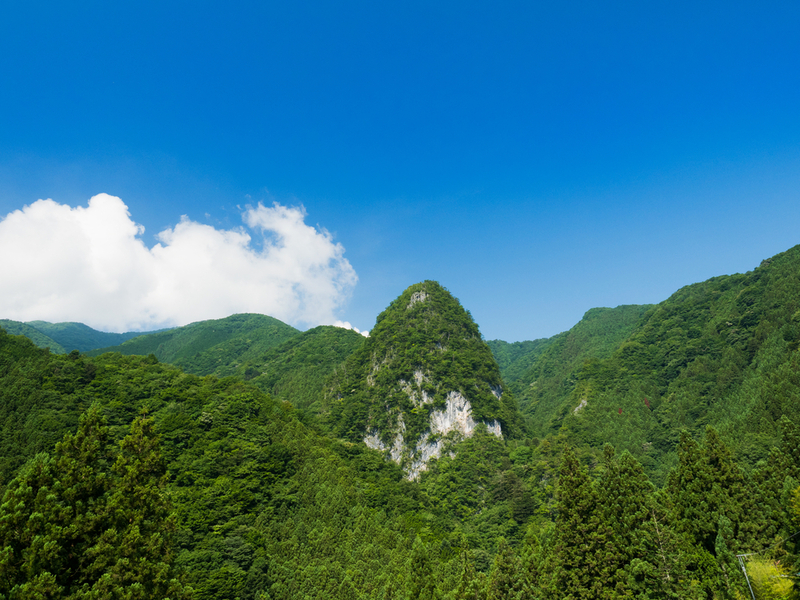 In the same area, you can see the famous “The Inamura rock” - a massive rock formation surrounded by lush vegetation.